Discussion in 'Downhill & Freeride' started by Iridemtb, Dec 31, 2007. 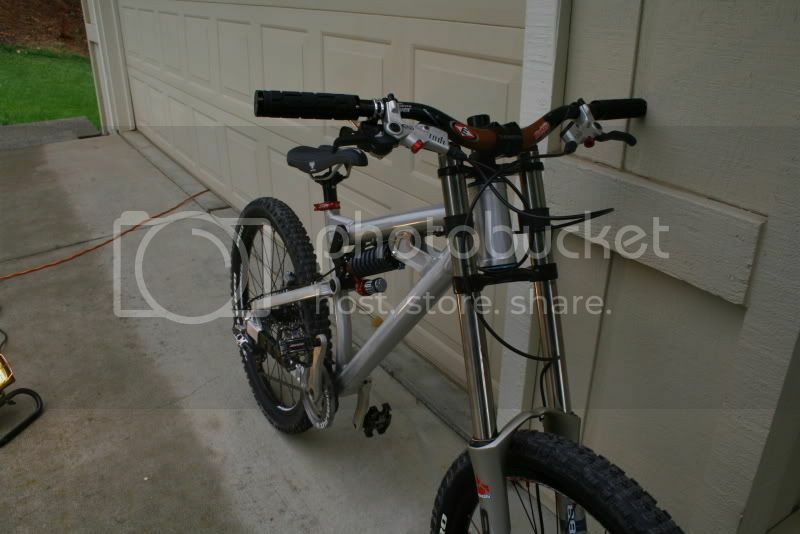 Ok, I currently ride a yeti asx, but I want a new bike (or a new frame) here for the east coast (I ride at diablo) because of the rock gardens, rough stuff, etc... Plus I want to get a little competitive. So question is, do you think this would be an appropriate bike for the east coast? I'm asking this because, my yeti didn't work out. Yea, I could go to cross country trails, and it pedaled great, and it was good for smoother trails and jumping, but when you got to the gnarly stuff, with choppy rock gardens, it just didn't want to hold the line. Your opinion counts, especially if you own one, so please, give me some input. Thanks! i had the same opinion on the bike, it also didn't turn very well. anyways, i think a blindside would be great. it might be a little hard to transition too because it is going to be a longer bike than the asx, which will make it jump differently, but everything will be an improvement in the end. the longer wheelbase and longer suspension will give it some better performance in the rough, actually much better performance, and the lower bb will help it settle into turns better. i went from an asx to an sx trail, and after a couple rides of getting used to the longer wheelbase and top tube, i can rip the sxt far better than i could my asx. it settles beautifully into corners and can actually clean a rocky/rooty section, both of which gave me huge headaches on the asx. the bike also feels a little more lively. i'd say the blindside would be a good choice, the geometry is, like the sxt, more dh oriented than the asx. Thanks for your help, if there's any of you blindside owners out here, post it up! Quite a setup as in good? Or bad? Amazing fork! Has been flawless since day 1, wouldn't/don't want to change it to anything else. Such a solid build, dont think i would personally change a thing but tires, and thats just based on the type of terrain I ride. Whats it weigh in at? When I built the bike, the tires were the only DH tires my shop had in stock, but they have been excellent. Yea yea, that is actually a really nice build and looks really clean, but back on topic, could you please tell me what you think about it, like how it rides. Thanks. It's turned out to be an excellent bike. Long, so it's stable and can just charge through things, the BB is pretty low, that took a little getting used to. Doesn't climb as bad as I thought it would, it has really no chain growth which is awesome. I'll be making the change from an AS-X to a Blindside sometime before July for all the same reasons as you. When you get the Blindside I'll be interested in hearing your impressions. Are you planning on running the floating brake? I want to run a floating brake. I'm riding on the east coast (diablo, plattekill perhaps, etc). I'm 17, work 30 hours a week and go to school, so things get expensive. I'm debating whether to sell the whole yeti, it has a fox 40rc2, with titanium springs, fox DHX 5.0, nice mavic rims, and a bunch of other stuff. Or just buy a frame. Also, I'm unsure if I want to just get a different frame and keep the yeti. Like a Demo 8or a sinister r9. But I have such a nice setup already. 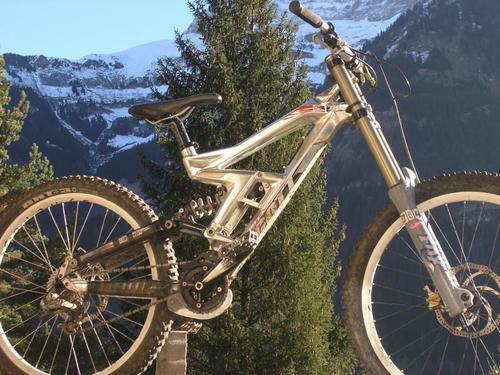 I want a bike I can be competitive on, but still is "freerideable". Hence why I ask if the blindside, being a company of more west coast origin, is appropriate for the gnarly rock gardens of the east coast. tony get a bike with a slack HA, low BB, long wheelbase. anything that has that wont let u down. Here is a pic of my new blindside, I have'nt had a chance to take it to the hill yet. I have been riding this at Diablo and LOVING every minute of it!!!! I was thinking the same thing with BB, HA, and wheel base, I thought standover might help a little to for maneuverablility. They both have a head angle of 65 degrees. Transition blindside medium has a wheelbase of 45 inches, R9 shorty is 46.5. Sinisters R9 BB is 14.75. They are so freakin close it seems the. 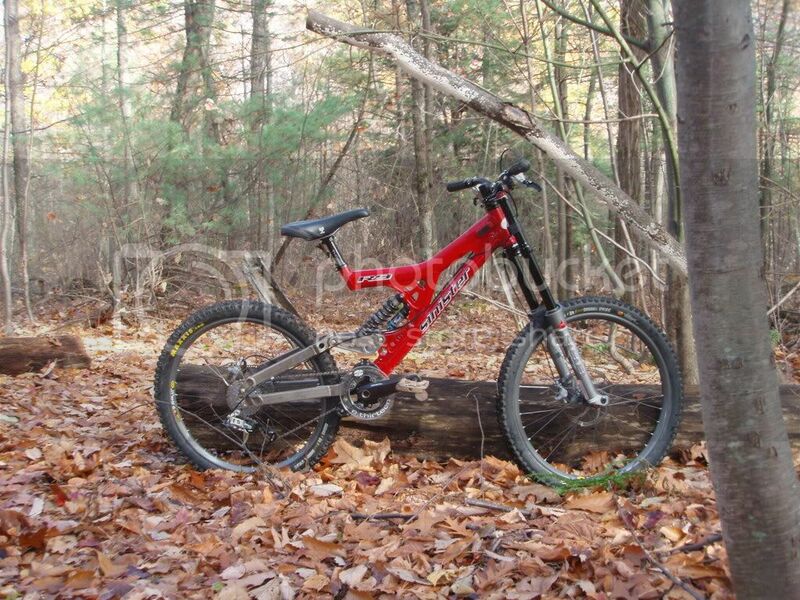 I am under the impression that the R9 would be a better downhill bike (rock gardens, cornering, etc) But the blindside seems like it would be more of a fun bike, like for jumping, and having that lively feel. Does the description contradict what your thoughts are on the sinisters or blindsides? try finding a sinister you can test out. my bud rocks one and it pedals lighter than you would think and it feels pretty nimble for being a big bike. my bud's rig includes and avy rear and a monster-T front, making it a pig, and it still feels like a lively bike to me. Yea, but, what should I do. I ride at diablo usually, should I just go up to some random guy, and ask to ride his bike, lol? yeah; strike up a conversation and make a new friend. tell him you are interested in buying a bike and you are looking at the sinister. he may not let you take a full run on it, but you can get a pedal around the parking lot, which is better than nothing at all. offer to let him hold something of value of yours (diver's license, credit card, car keys, bike, etc.) while you are pedaling his precious rig. the transition small wheelbase is 45in, med 46in. both good bikes, but you can raise and lower the seat on the blindside, if you pedal up hill. You will probably see some Blindsides at Diablo this season. I thought about getting a Blindside for a while mainly for price reasons, but decided on the R9 in the end. The comment about it pedaling better than you would think is a fair statement. Mine is a Long/Regular (which ever you want to call it) and it does just fine in the tight stuff and never felt like it was too slow for my liking. The numbers are very similar between the two bikes. One thing to note is that some have been mentioning that their Blindside BB heights are lower than they thought they would be. Some are reporting heights slightly lower than 14 inches. I dont know if that would be an issue for your riding style. I dont think that you can really go wrong with either. Indeed. I have yet to see one w/ a true height of 14.2. Mine w/ an 888 and a flush headset comes in at 13.7.